The Dekati® BOLAR™ can separately detect positively and negatively charged particles in five different particle size fractions. 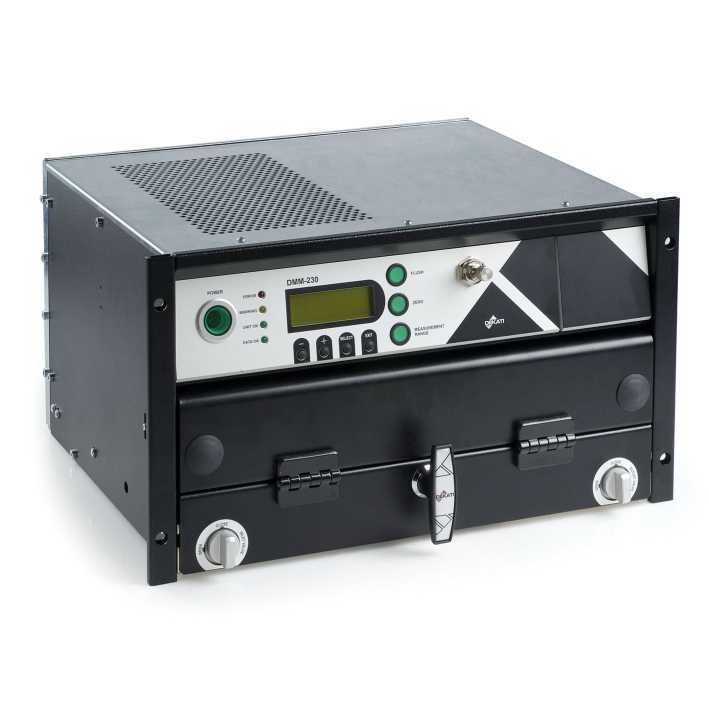 After the charge measurement, negatively and positively charged particles can also be analyzed enabling measurement of charge to mass ratio in different particle size fractions. This completely new kind of information is needed in the development of inhalable medicine and delivery devices; the positive and negative charge levels carried by particles can vary significantly between different inhaler devices depending on the materials used in the device, the design of the device, carrier and drug particles used in the device and operating conditions. Until now, the measurement of size classified bipolar electrical charge levels has not been possible, which makes the Dekati® BOLAR™ a completely unique tool for inhaler device development. 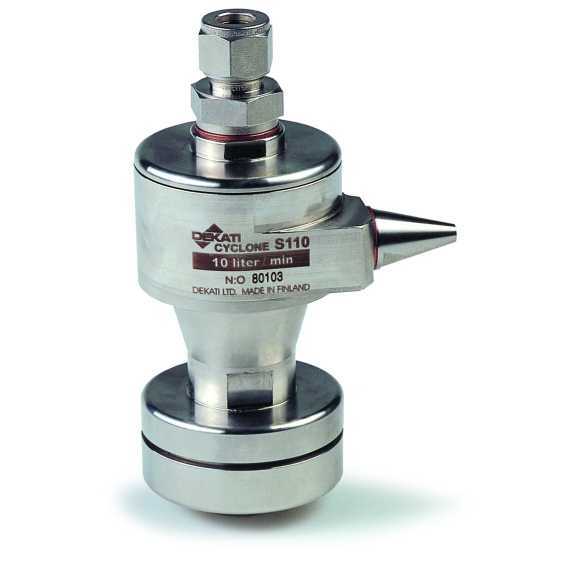 The Dekati® Axial Diluter DAD-100 is a simple and cost-effective dilution tool for any dilution task. Especially designed for use with Dekati® Instruments, the DAD-100 is very simple to install into any sampling or measurement system. 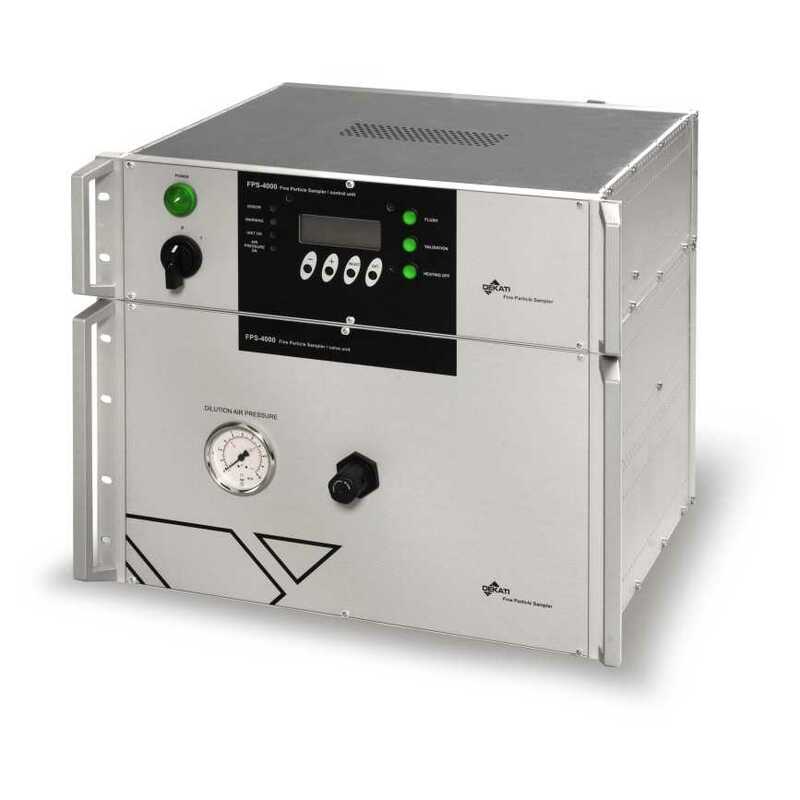 All-stainless steel design makes it also possible to heat the diluter up to 500°C. 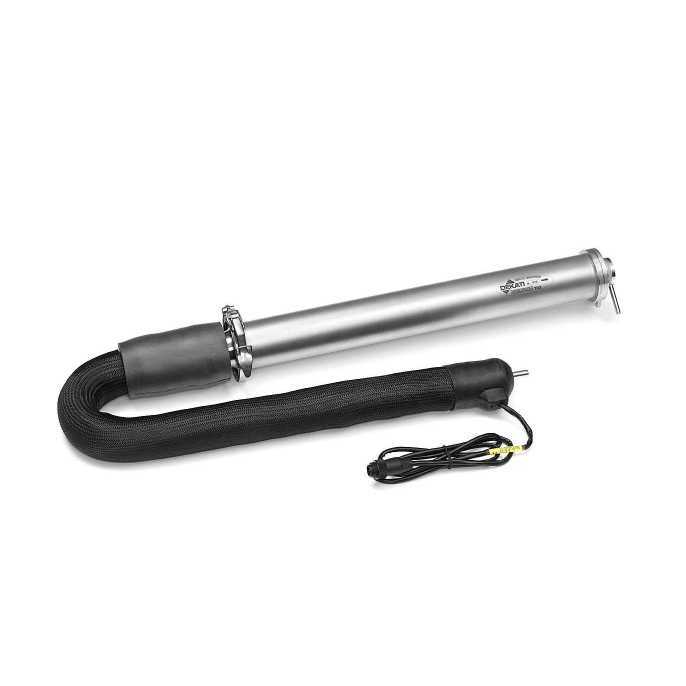 The Dekati® Engine Exhaust Diluter DEED is a fully EURO5b conforming engine exhaust conditioning system. In contrast to multi-stage dilution systems in general, DEED is a simple, easy-to-use system that conditions the sample precisely and in a repeatable manner every time. The DEED fulfils all requirements and recommendations set in EURO5b standard for a Volatile Particle Remover (VPR) system and all units are calibrated for Particle Concentration Reduction Factor (PCRF) and evaporation efficiency as determined in the EURO5b standard. Dekati® Diluter DI-1000 is a low-cost, simple and easy-to-operate device for diluting aerosol and gaseous samples from any source. 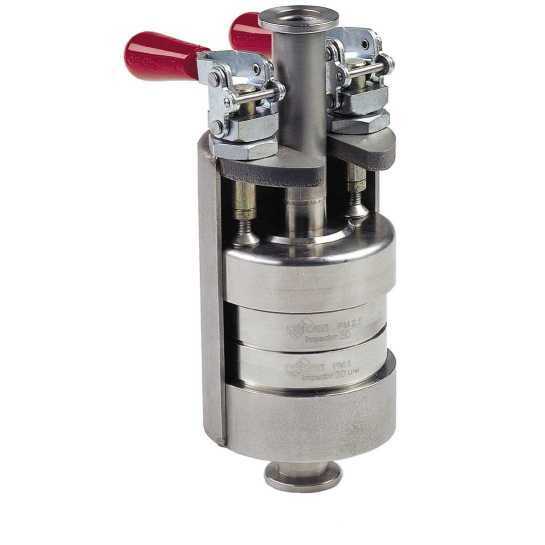 The simplicity and robustness of the all stainless-steel design have made it a widely renowned choice for the dilution of combustion aerosols. ELPI+™ (Electrical Low Pressure Impactor) is an improved version of the widely used and well characterized ELPI™ -system. ELPI+™ enables measurement of real-time particle size distribution and concentration in the size range of 6 nm – 10 μm with 10 Hz sampling rate. 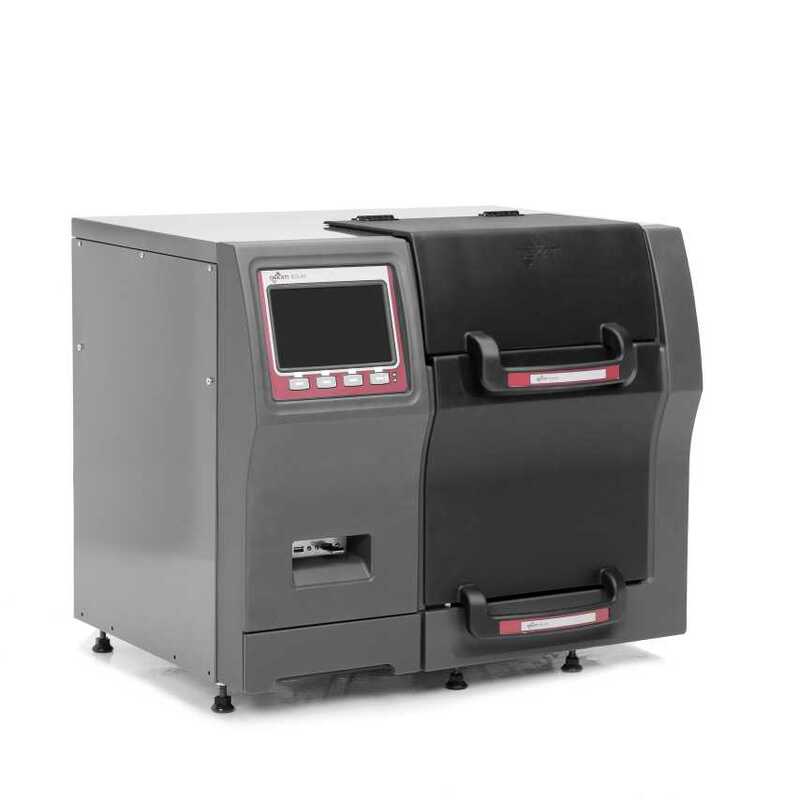 The ELPI+™ features include real-time stand-alone operation, wide sample concentration range, wide particle size range and robust structure for operation even in harsh conditions. In addition to gaining real-time particle size distribution data, the ELPI+™ can be used for real-time particle charge distribution and for gravimetric impactor measurements. Dekati® Fine Particle Sampler is a guaranteed solution for diluting and conditioning aerosol and gaseous samples for measurement instruments. 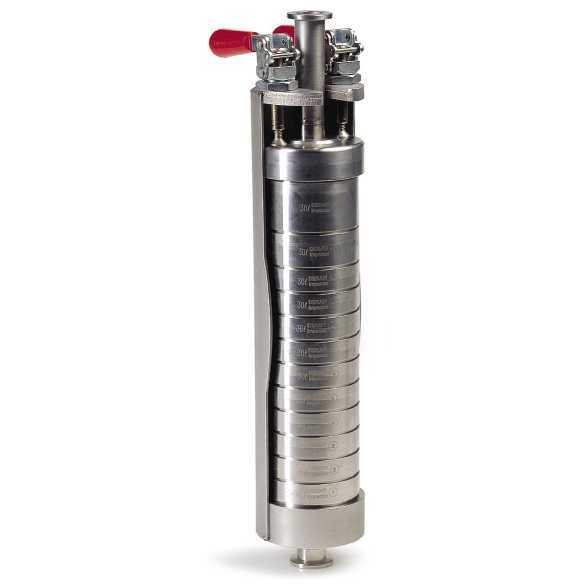 The two stage dilution system features unmatched versatility with applications reaching from automotive pre- and post after-treatment measurements to nucleation studies. DMM, Dekati® Mass Monitor, is a real-time measurement instrument for monitoring PM emissions from diesel and gasoline vehicles. Used either with a tailpipe sample conditioning system or existing CVS tunnel the DMM provides second-by-second information about vehicle PM mass and number emission. In addition to particle mass concentration, DMM also provides information on particle number concentration and particle size distribution (MMD and GSD). Dekati® Cyclone is an EPA-standard cyclone for removal of large particles from a sample stream. The cyclone can be used in high temperatures due to its all-stainless steel construction. Dekati® Cyclone is manufactured according to EPA standard 201A. With standard isokinetic nozzles available as accessories, the Dekati® Cyclone is a highly durable addition to any sampling line where removal of large particles is needed. Dekati® Thermodenuder is used to remove volatile and semivolatile compounds from aerosol sample in order to eliminate unwanted sample transformations e.g. in engine exhaust measurements. The volatile and semivolatile compounds are vaporized when they enter the instrument and then adsorbed into active charcoal which has been designed to the form of mats for ease of use. 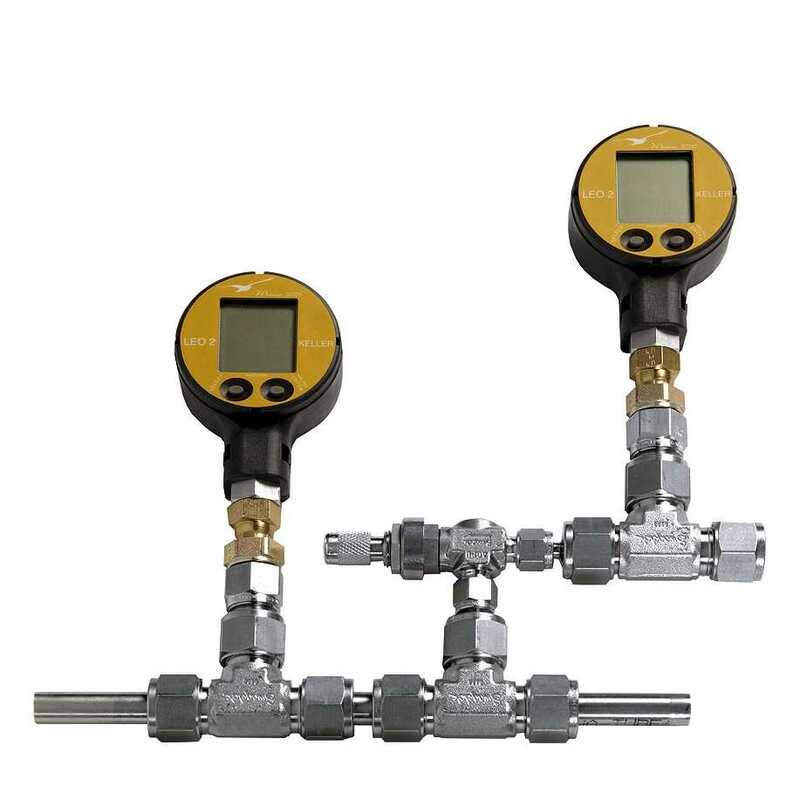 The Dekati® Thermodenuder is especially suitable for use with the ELPI+™ (Electrical Low Pressure Impactor) and the DMM (Dekati® Mass Monitor), also manufactured by Dekati Ltd, but can be used with any measurement device with a suitable flow rate. 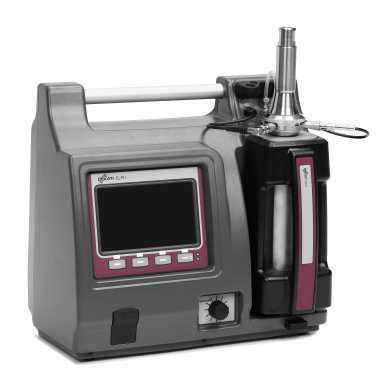 DGI-1570 (Dekati® Gravimetric Impactor) is a high sample flow rate cascade impactor designed for measuring gravimetric particle size distribution of particles < 2.5 µm. In a standard DGI setup particles are size classified into 5 size fractions with impactor stage cutpoints of 2.5, 1.0, 0.5 and 0.2 µm. If detailed information on the size distribution is not needed, some of the impactor stages can be removed from the DGI assembly. The impactor can e.g. 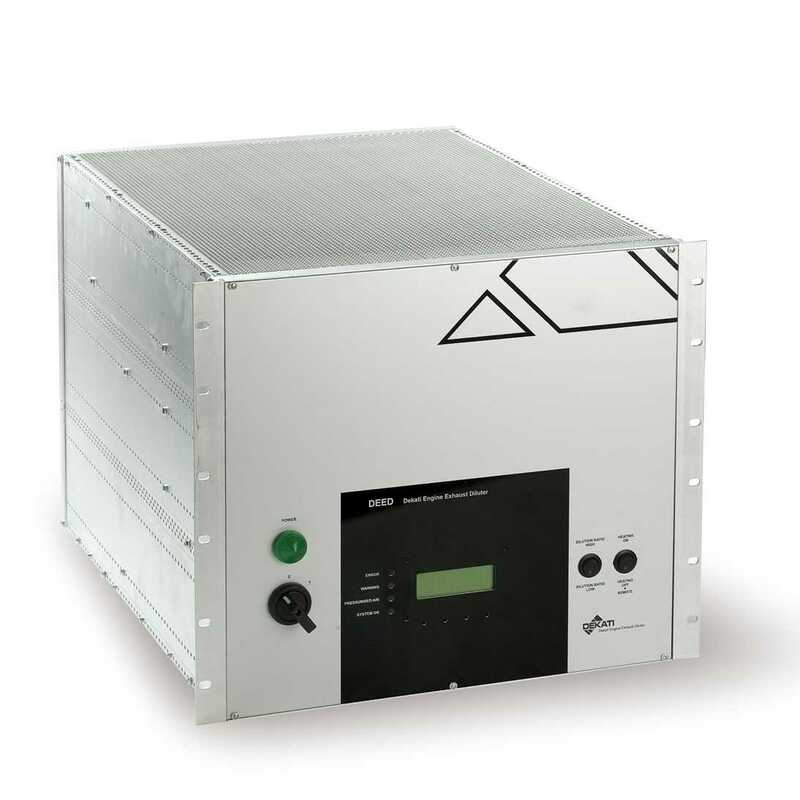 be used without the 0.5 and 0.2 to stages to determine only PM2.5 and PM1.0 concentrations. The nominal sample flow rate though the DGI is 70 lpm which enables high sample yield even during short measurement periods. Typical measurement applications of the DGI impactor include engine emission measurements, air quality studies and other applications where high sample flow rate is needed. DLPI (Dekati® Low Pressure Impactor) is a 13-stage cascade low pressure impactor to determine particle gravimetric mass size distribution. The size classification in DLPI is made from 30 nm up to 10 µm with evenly distributed impactor stages and can be extended down to 30 nm with an additional back-up filter. In each size fraction the particles are collected on 25 mm collection substrates that are weighed before and after the measurement to obtain gravimetric size distribution of the particles. A chemical analysis of the size classified particles can also be performed. Other DLPI characteristics include low inter-stage wall-losses and robust yet easy-to-use operation. 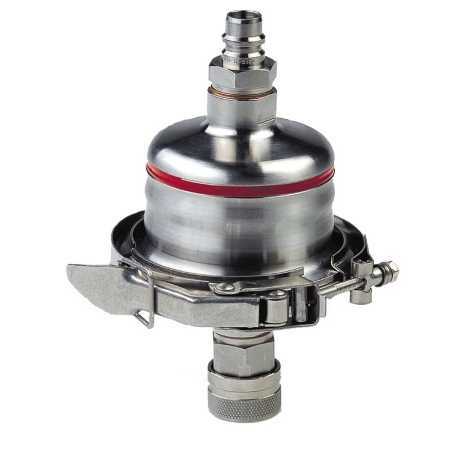 The rigid stainless steel construction of the DLPI makes it suitable for a wide variety of applications including power plant and vehicle emission measurements, engine blow-by measurements, air quality studies and pharmaceutical inhalation aerosol device testing. The Dekati® High Resolution ELPI+™ (HR-ELPI+™) is a completely new version of the widely used ELPI+™ instrument. The High Resolution ELPI+™ combines features of the ELPI+™ with data inversion algorithm that gives real-time particle number size distribution in up to 500 size classes 6 nm – 10 µm. This makes the High Resolution ELPI+™ a superior tool for detailed particle size distribution analysis in a broad size change that otherwise would need to be covered with two separate instruments. The Dekati® High Temperature ELPI+­™ (HT-ELPI+™) is a new version of the Dekati® ELPI+™ that enables real-time measurement of particle size distribution from 6 nm up to 10 µm with 10 Hz sampling rate. The High Temperature ELPI+™ allows direct measurement of up to 180 °C aerosol sample without the need to cool the sample, which makes the HT-ELPI+™ a one of a kind tool to characterize high temperature aerosols. The Dekati® PM10 impactor is a three stage cascade impactor for determining particle gravimetric mass size distribution. This impactor has cutpoints of 10, 2.5 and 1 µm and if needed some of the stages can be removed from the assembly to make a simpler setup. The Dekati® PM10 impactor is an ideal choice for applications where some information on the particle size distribution is needed. The impactor is manufactured of stainless steel which also enables sampling from high temperatures and even heating the impactor unit up to 200 °C. Typical applications for the Dekati® PM10 impactor include air quality measurements and power plant stack emission monitoring. The Dekati® PM10 impactor fulfils all requirements set in ISO23210 standard for determination of PM10 and PM2.5 mass concentrations from stationary sources. Ecotech are always good at following up and giving us reminders. It really helps to jog the memory when we have so many instruments to manage. We always get a quick turn-around time and a phone call if they have any concerns about the instrument. Good communication.